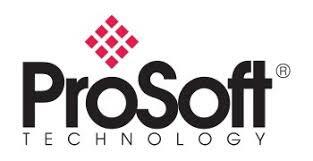 ProSoft Technology provides solutions to help our customers increase production, reduce downtime, and lower operating and maintenance costs worldwide. Hardware and software products for industrial automation and control, MES software solutions, HMI systems, as well as supplementary products. programmable controllers, motion controllers, variable speed drives and supplementary products. Vision systems: Smart Camera, Smart Sensor. ITALPLANT is developing and manufacturing cutting edge indexers and precision link carriers. Pick-it is a plug and play product that guides your robot to pick and place a wide range of products in different applications. Leading in development and production of a wide range of versatile, high quality integrated stepper motors. OPC servers (drivers) for widely used communications protocols in industry. Industrial communications switches and supplementary communications solutions. With the different lines of axial and right-angle gear units STOBER offers a great variety of customizable solutions to fit a wide range of applications. The STOBER motor adapter system allows you to attach almost any make of motor. Since more than 25 years the TAKTOMAT GmbH produces precise, customer-oriented and high-quality products and solutions for the automation industry e.g.bevel gear, rotary tables, rotary indexers, parallel gears or cam mechanism. Pipes, heated pipes and heating elements for sampling systems of gas concentration measurements. Measurement systems, fittings and accessories for large storage tanks and tank farms (level gauging systems, vents, pressure/vacuum regulating valves, etc.). Continuous analyzers for measuring concentrations of particulates, dust, and gas flows. Systems for storing data from flue measurements (DAS). Industrial control valves for liquids, steam and gas. Fixed and portable detectors for measuring toxic and explosive gases. Sensors for explosive and/or toxic gases such as CO, CO2, LPG, CH4, Cl2, etc., and warning and control systems for ventilation of car parks, battery rooms, labs, etc. Gas chromatography for measuring natural gas calorific values, and natural gas flow computers. Chiller controllers, universal programmable controllers for air-conditioning, electronic expansion valves, cooling installation controllers, control systems for supermarkets, and humidifiers. VAV boxes and air mixing boxes for air conditioning. HVAC equipment and systems, computerized building management systems, sensors, control valves, damper actuators, air-conditioning controllers, and energy metering systems.